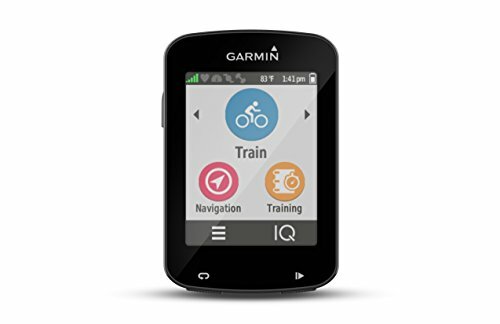 Edge 820 is the Compact, touchscreen cycling computer for competitors and serious achievers like you. Get the accuracy of turn-by-turn GPS navigation and an altimeter to tell you how fast, how high, how far you’ve gone and where you’ve traveled. Whether you're training for a race or just trying to reach your personal goals, edge 820 gives you high-tech performance monitoring metrics like vo2 Max, recovery advisor time and advanced cycling dynamics. Comprehensive cycling awareness features include Built-in incident detection and compatibility with varia Rearview Radar. We’ve also added group track, to keep Tabs on other riders in your Pack, in-ride challenges through Strava live segments, smart notifications and customization options from connect IQ.